Aronia 'Low Scape Mound' is a new dwarf variety of of this "tough as nails" native plant. 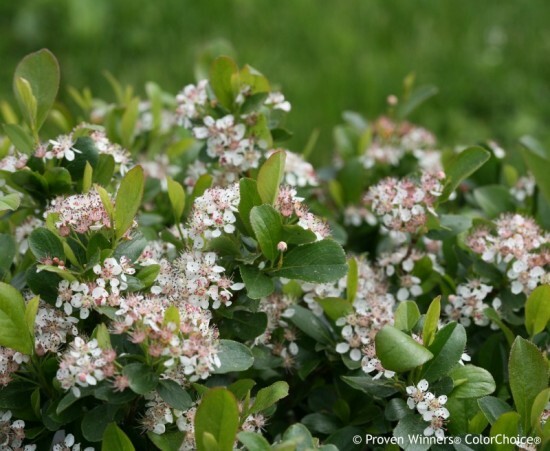 It has dark glossy foliage and loads of white flowers in spring followed by purplish black fruit in summer and intense red autumn foliage with a touch of orange. 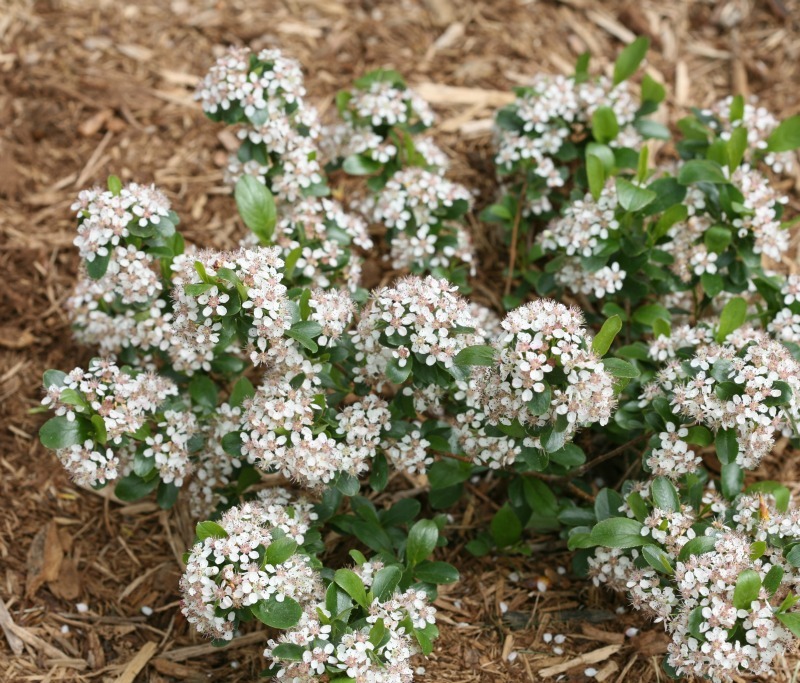 It has a unique, low growing mound shape which makes it perfect for a smaller landscape or use as a groundcover or edging plant. It is easily adaptable to a wide range of soil conditions. This is a very adaptable, hardy shrub, tolerating a wide range of soil conditions from dry to wet and sun to partial shade. If pruning is required do so after it blooms.